If you’re dealing with a workers’ comp case, it’s possible that you might have to have a mediation. But what exactly is mediation? Also known as a mediated settlement conferences, mediations are informal meetings where a neutral party will hear both sides of your case and help you work out a compromise. If that happens your case can settle there. 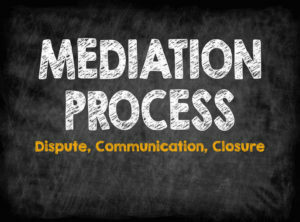 There are several reasons why your case might go to mediation. For example, if your claim is denied, the Industrial Commission will probably order your case to mediation before it goes to a hearing. Another reason you might go to mediation is if your case has gone on for a long time. The Industrial Commission will want to see if mediation can help wrap up your case in a satisfactory way for both parties. However, just because you are required to go to mediation doesn’t mean it has to end in any kind of agreement. The only requirement is that you are there — which means if you are uncomfortable with the compromise suggested in mediation, you don’t have to agree to it. If you do reach an agreement, it will be written up, and boths sides will be asked to sign it. Once that happens, the decision is final: there is no backing out. Another good thing to keep in mind is that the objective of a mediation isn’t necessarily to settle your case. In many instances, you and your case might not be ready for settlement. But that doesn’t mean your mediation is a waste of time. You can still come to agreements on other things such as a change of physicians, approval of surgery, raising your weekly checks etc. These things will put you on a much faster route to settlement and ensure that you’re getting a settlement that’s fair to you. Mediations may seem scary, but they aren’t! 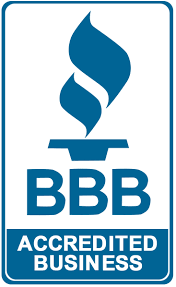 We’ve done thousands of them, and we’ll be happy to guide you through yours. With more than $275 million in awards and settlements, Oxner + Permar has the experience to stand up for you.